If a practicing Muslim deviates from the fundamental principles laid down in Islam, it can be deemed blasphemous. In Kashmir, ignorance of guiding theological principles for the faithful have given rise to irreligious practices which should be changed for a larger good, Syed Asma reports. A common belief in Kashmir, a Muslim majority region in Jammu and Kashmir, is that the people hardly practice their religion strictly and often don’t follow the five basic tenets of Islam. One of them is paying Zakat. “Actually we lack understanding of basic concepts of Islam. That is why we eventually fail to practice them,” says Molvi Rehmatullah of Darul-uloom Raheemia in Srinagar. Paying Zakat is an obligatory practice that every Muslim is asked to fulfill. But Kashmiris are not paying it the way they are supposed to. While some people in the valley pay Zakat without asking for the actual percentage as explained in Islam, most of the population is unaware of the items that qualify for the payment of Zakat. Zakat is a particular percentage paid from one’s property. It is due on money, agricultural goods, precious metals, minerals, and livestock. The amount of Zakat to be paid depends upon the goods. For money, it is 2.5 percent of the total amount that one has. Zakat is only payable on assets continuously owned over one lunar year that are in excess of the Nisab [a minimum monetary value]. The Nisab is calculated after adding the cash value of assets for which Zakat is to be paid; gold, silver, cash, stocks, merchandise for business, livestock, etc. Personal assets such as clothing, household furniture and residence are not counted. The Nisab for gold and other money is the value of 85 grams of gold at its present market price. “There is a proper system of distribution as well. Allah has prioritized eight specific categories of people who deserve to receive Zakat fund,” he added. As detailed in The Holy Quran and Hadith, Zakat is paid to purify one’s property and to have blessings of Almighty Allah. Besides, it is asked to be paid to create a balance between the needy and the rich people. “Islam is a complete religion and thinks of every individual whom Allah has created; may that be poor or rich. Zakat and Sadqa are particularly meant for people who are not economically well-off,” says an Islamic scholar. Sadqa is a donation which, most of the times, is made for well-being of one’s family but is not obligatory. Many scholars believe that people in Kashmir are not contributing enough to lessen the gap between the rich and the poor. In some places like Saudi Arabia and Pakistan, where Muslims form the majority, Zakat is obligatory and is collected in a centralized manner by the state. In other places like Jordan, Bahrain, Kuwait, Lebanon, and Bangladesh, Zakat is regulated by the state but contributions are voluntary. Zakat is one of the fundamental pillars of Islam. 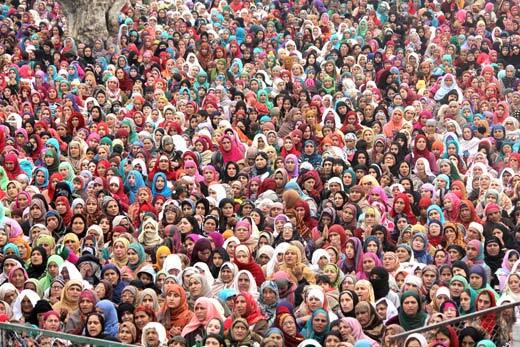 Apart from not paying Zakat properly, what is common in Kashmir is the unjust way of dividing one’s property and the most affected lot in this are the womenfolk. 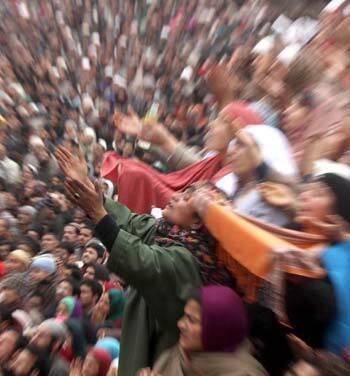 “A majority of women in rural and a minor portion in urban areas are deprived of their rightful share of their ancestral property,” says a research, ‘Gender Discrimination in Kashmir’ conducted by sociologist Prof Bashir Ahmed Dabla, who teaches at the Department of Sociology, University of Kashmir. Most of the people in Kashmir do not give their daughters their deserved share because they still prefer to implement “Walter Lawrence Law” over Islamic Law or Shairah. Under this law, girls were not given any share from the agricultural property as it was feared that after the marriage, their husbands will become the owner of the land. It is believed that there were many disputes over a woman’s share in the property in Lawrence’s times so he “framed” a law to settle those disputes. Many people in rural areas still follow this law. “The population in towns, which is not more than five percent, is conscious about their religious bindings and they are aware about the share of women in property,” Prof Dabla says. In Kashmir, a woman prefers to remain silent over her right of property most of the times because she does not want to spoil her relationship with her husband or her in-laws and even with her brother. “So she does not ask for her share of the ancestral property,” says a former member of State’s Commission for Women (SCW). She adds that the increase in the cases of domestic violence and divorces have also made women insecure and forced her to abandon her rights just to live a “comfortable and peaceful life”. The ignorance of women about their rights in Islam is so widespread in Kashmiri society that many times a woman is deprived of her ‘Mehr’ (dower) as well. Mehr is a sum of money given to the bride by the groom. In Kargil, the newly-wed brides are made to take an oath on The Holy Quran that they will return the money to their husbands and they are made to say that they are doing it on their own will, claims the member of women’s commission.